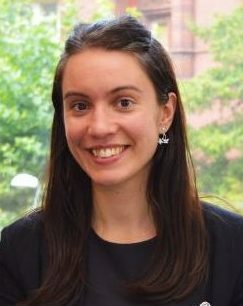 Natalie is a family law specialist, having completed a family law pupillage at a Midlands set, before returning to her West Midlands roots. She conducts work at all court levels. Natalie is Public Access trained which enables her to accept instructions direct from clients. Natalie prides herself on her ability to deal with clients in very difficult situations and is well-regarded for her attention to detail and thoroughness in preparation, often at short notice. She is sympathetic to the individual needs of her client and is dedicated to securing the best possible result for them. She aims to provide her client with practical, realistic advice. Alongside her practice, Natalie led the Child Protection Module at the University of Derby for three years. She overhauled the course material during this time and conducted seminars, tutorials and assessments as part of her role. Prior to the Bar, Natalie worked as a specialist family law paralegal for two years and was appointed as a Special Constable with West Midlands Police Force. Please click here to view the Privacy Notice for Natalie Cross.